With the help of third party weather reporting services, Sauers meteorologists forecast weather events and monitor its progress so you don’t have to. With the help of Weather Works Inc., our staff monitors weather events and notifies you when we’ll begin our commercial snow removal services. When a storm is imminent we’re on the job 24/7. We’re constantly checking the data and keeping you and your business informed and up to date for any changes in service or weather. This continues all the way through the storm to ensure you that your property remains clear and accessible. Upon the end of the storm, you will be provided with a certified storm report that outlines the events that took place. As part of our commercial snow removal services, being informed and up-to-date with snow events is our responsibility. Sauers performs these services on your behalf so you don’t have to worry about it. Contact us to learn more about our Snow Removal Technology and Weather Reporting Services and its benefits. 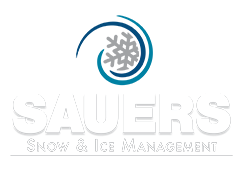 Call 215-659-1613 or fill out this form to learn more about Sauers Snow Technology & Weather Reporting.